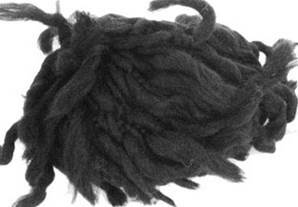 Katia Polo Sur 405, black - wool-rich shaggy yarn, perfect for quick-knit scarves. 50% wool, 47% acrylic, 3% nylon. 2 balls make a scarf , using 10mm needles. 50g/ 25m per ball.